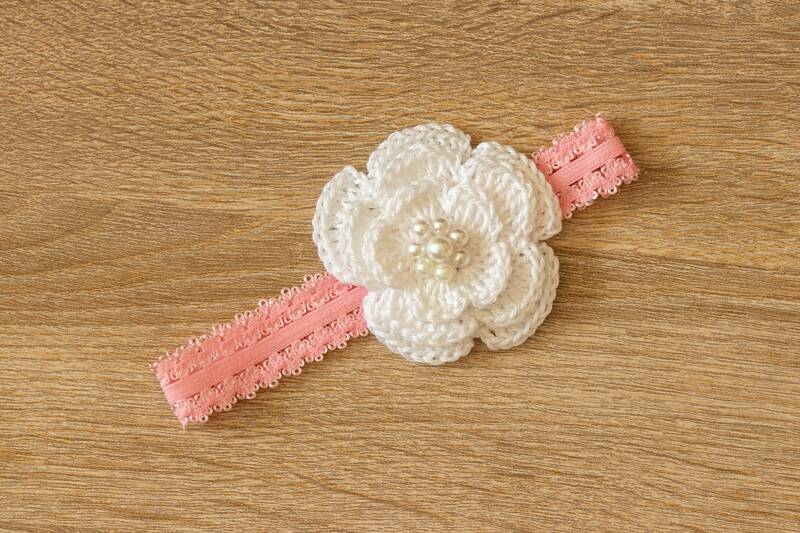 This pink baby girl headband features one crochet flower on an elastic headband. 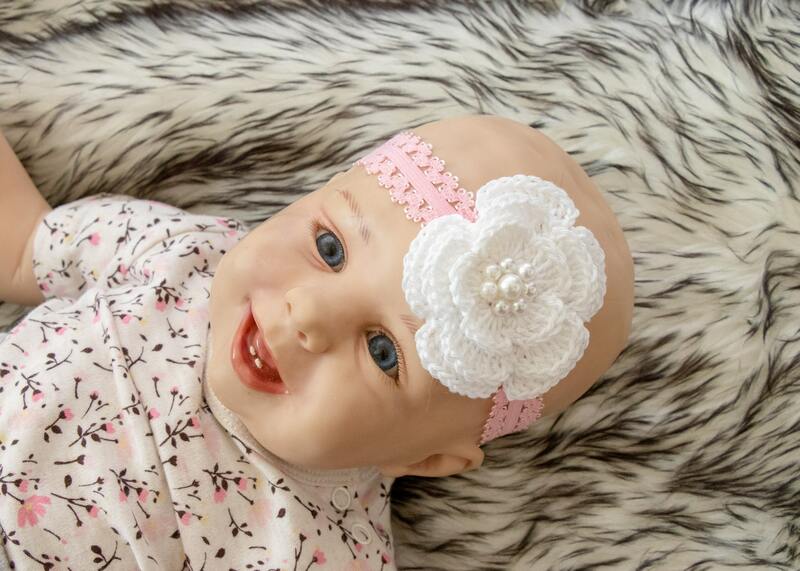 A headband is made from the softest elastic so they will stretch very comfortably. This is a beautiful accent to any outfit, perfect for baptism, christening, photography or everyday use. Hand wash or machine wash with care. If You are looking for other colours or materials want to discuss, please feel free to contact me at any time regarding a custom order - Your ideas inspire me!